When it comes to villa holidays – we've got you covered. The little things are all taken care of, so you're free to enjoy every second with your nearest and dearest. Whether you're a brood of easy-going beach bums or an energetic group of adrenaline-junkies – there's no one size fits all when it comes to holidaying. A blissful base to make the most of all your favourite holiday pastimes is paramount, so here's a look at the best villa holidays for a whole host of unmissable experiences. 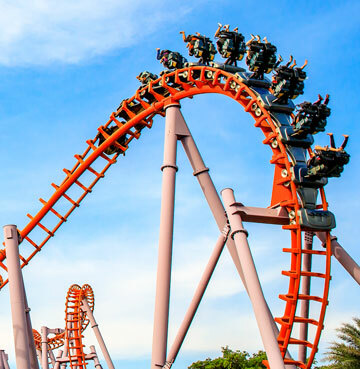 Adrenaline junkies won't find a better thrill-fix than the bright lights of Florida's theme parks. Wonderful worlds within worlds exist at magical kingdoms and islands of adventure. Hurtle towards hair-raising vertical drops and thrilling loop-the-loops featuring all your favourite characters and film heroes. Journeys of imagination are perhaps the greatest adventures of all, so watch in delight as your little ones live out their wildest dreams! Perfect for all ages, strap in for heart racing rollercoasters and extraordinary immersive 3D experiences. The Kennedy Space Center Visitor Complex is just over an hour away from the action of Orlando. What could be more adventurous than deep space explorations!? For the outdoorsy adventurer, Tenerife's Teide National Park is a one-stop-shop for exhilarating nature activities. Decked out with a dramatic desert landscape, the park is dominated by mountains, craters, river of petrified lava and rugged rock formations. Take a cable car to the top of the world's third tallest volcano – Mount Teide – and bask in the natural beauty all around you. Between buggy tours, stargazing, hiking, quad biking and even paragliding – there's no shortage of things to do! 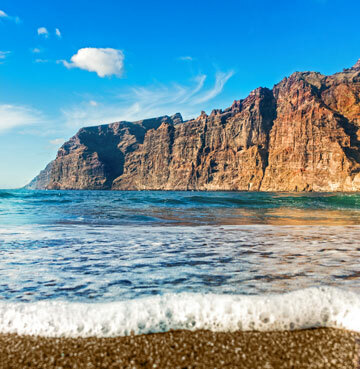 You'll find this home from home at the foot of awe-inspiring black volcanic cliffs – the perfect backdrop for any action and adventure enthusiast holidaying in Tenerife. Head out on boating trips for whale and dolphin-watching or take a swim in the natural seawater pools. Complete with a games room, private pool and a wealth of amenities just a short stroll away. Jetting off with a loved one is always an extra-special experience. Miles away from your daily routine, you can treat yourselves to a little luxury and a lot of quality time together. There's no one size fits all when it comes to a romantic retreat and every couple is different. But whatever has you hopping on the plane and finding your perfect holiday hideaway, our villas for two are a great way to truly get away from it all. The Mediterranean offers up many magical options, it's almost impossible to choose between them. The wild beauty of the Amalfi Coast is always a winner. Candy coloured towns cover the cliffs, while coastal roads twist and turn through tunnels and across mountain tops. Take a romantic road trip and bask in the beautiful views across the sparkling Tyrrhenian Sea. Show-stopping Santorini is a match made in heaven for couples. Oozing with out-of-this-world panoramas at every turn – stroll hand in hand through the winding white streets of this iconic island. 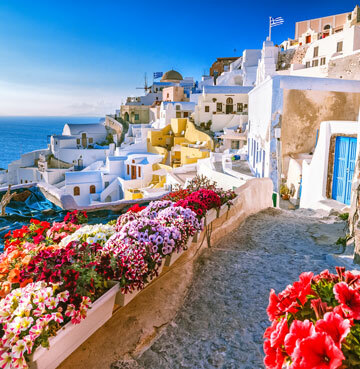 Dripping with bougainvillea flowers and peppered with blue domed churches, be ready to fall as head over heels for this gorgeous Greek island as you are for one another. It's fair to say Santorini wrote the rulebook when it comes to romance, and don't even get us started on the sunsets! Greece really brings its a-game when it comes to wooing holidaymakers. 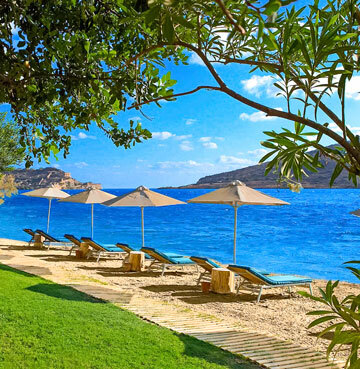 Nestled in the heart of Crete's prestigious Domes of Elounda holiday resort, this is a romantic retreat with all the bells and whistles. Surrounded by sun-drenched coastline and luscious landscapes, the villa looks out across the UNESCO protected islet of Spinalonga. A cute and cosy holiday home from home, lose yourselves in the laid-back lifestyle of the Mediterranean. If you're on the hunt for new experiences and love learning about people, places and pastimes on your travels, then a holiday to a cultural hotspot will be your kind of caper. Culture can mean different things for everyone. For some it's a museum or gallery visit, for others it's watching an Opera at a world famous venue or exploring ancient archaeological sites! There's no rulebook when it comes to your voyage of discovery. Diving into tradition adds a rich flavour to any travel experience. Embracing others' ways of life opens our eyes to a whole new world. When it comes to a cultural treasure chest that packs some serious clout, you can't do much better than Cyprus! Step back in time and uncover the islands heritage hotspots. The archaeological park at Paphos houses a huge number of historic gems, with UNESCO's Tomb of the Kings as the crowning glory. 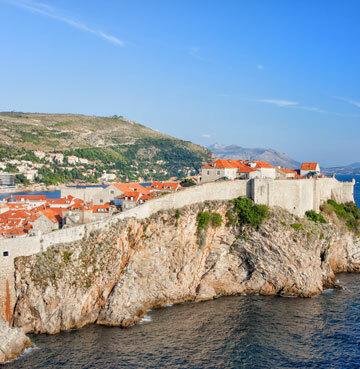 Dazzling Dubrovnik takes travellers on an outdoor history lesson, with the iconic Old Town stealing the show. Walk the amazing ancient walls and look out across the ever-changing Adriatic Sea or the city's famous red roofing. It's a little over a mile's walk to complete the entire circuit, which'll bring you up close and personal with brilliant battlements and timeless towers. Villa Mala is perched on a hillside just 11km away from the action and is the perfect base for your culture vulture venture. 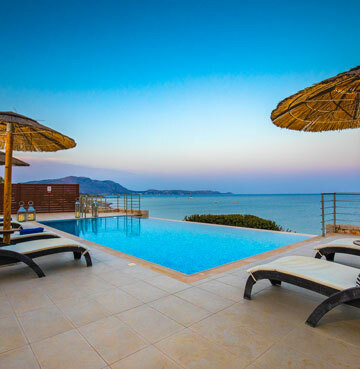 Boasting breathtaking views over the Elaphite islands, watch the sun glow in golden colours as it sets into the sparkling sea. It's the perfect way to end a day of exploration. For some of us, nothing quite soothes the soul like a stint in nature. Rolling hills, majestic mountains, wonderful waterfalls, fantastical forests and sparkling seas – the raw and rugged beauty of the great outdoors is the perfect antidote when it comes to 'getting away from it all'. With some of the world's most famous UNESCO World Heritage Sites just a hop, skip and a jump from many of our secluded holiday villas – there's no better way to immerse yourself in the natural world. 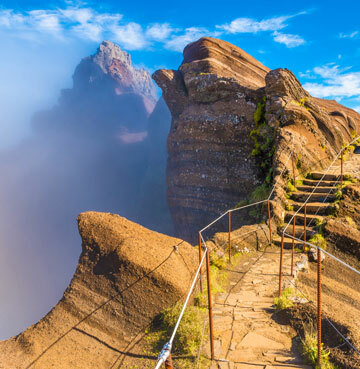 The mighty Madeira charms nature lovers with countless outdoorsy experiences on offer. Try your hand at canyoning, hiking the famous Levadas, cycling, kayaking… the list never ends! Paradise for those who crave a taste of adventure – the wide open green spaces and exotic landscapes are a match made in heaven. For travellers that prefer a more tranquil experience, the rolling hills of Tuscany are enchantingly exquisite. Here you'll unwind in untouched landscapes, soaking up the sounds and smells of secluded countryside spots that lie far off the beaten track. Lanzarote has countless strings to its bow and when it comes to nature it's virtually unbeatable! 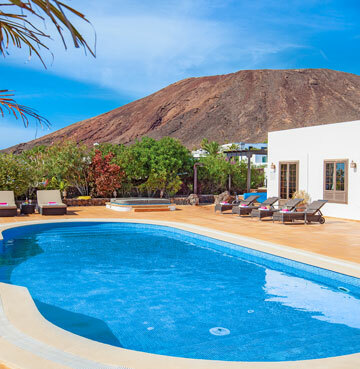 Villa Buena Vista Bocaina sits in a secluded area on the slopes of Montana Roja in Playa Blanca. Panoramic sea vistas can be enjoyed from the huge private swimming pool, as well as views of the neighbouring islands of Fuerteventura and Los Lobos. The villa itself is surrounded by natural beauty, but it's the proximity to Timanfaya National Park that wins it the title. A lunar landscape like no other, the moon-like craters and copper coloured sands are out of this world. The product of volcanic destruction, the hauntingly beautiful Mountains of Fire take pride of place in the mind-blowing Badlands. There's not much that can beat a beach getaway. In fact, it's a key staple for most people's holiday wish list. 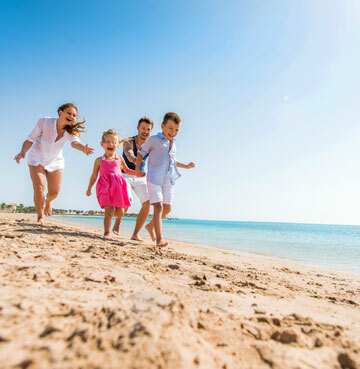 The magical combination of sand, sea and sun is guaranteed family fun – so it's really no wonder this long standing love affair is showing no sign of letting up. Secluded bays, bustling resorts, wet and wild watersports… there's something for everyone! From the golden shores of Portugal's iconic Algarve to the untouched and tranquil coastline of Kefalonia, get ready for soft sands and lazy days spent under the sizzling sun. Roll out your towel and take up residence on the blissful Blue Flag beaches that are dotted across our destinations. Wave goodbye to forgetting your beach essentials or impatient kids desperate to take a dip in the sea – all of the best beach action is just a few steps from your front door. Clue's in the name with this one! Drink in panoramic sea views from the comfort of your luxury infinity pool and terrace area. Follow the path to the end of the garden and you'll find a set of steps that'll lead you straight on to the golden sands of Kiotari beach. Stretching for a whopping five miles, the area is teeming with restaurants and tavernas that serve up hearty Greek delicacies and dishes. You'll find the usual culprits in the area too – souvenir shops, mini markets and quaint little bakeries. 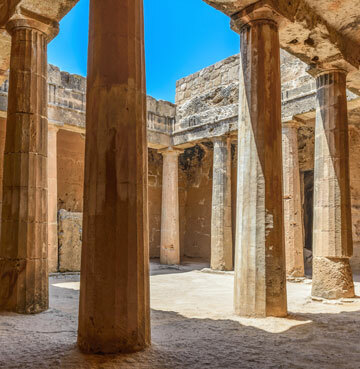 History buffs are just a short drive from Lindos and the remains of Acropolis. Escaping as a family can be the highlight of the year. A villa holiday allows you total freedom and flexibility to indulge in some much needed quality time together. Precious memories made against picture-perfect backdrops (or splashing in your own private pool) are moments that'll live on for years to come. 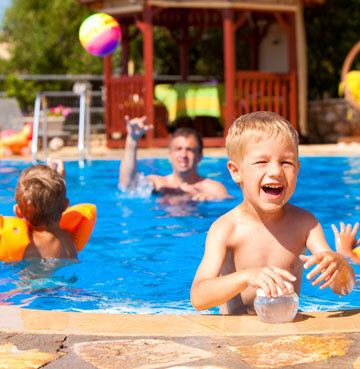 There's a whole host of options when it comes to your family holiday – from sun-soaked Spain and the beautiful Balearics to family fun in Mallorca and Gozo.